If you bought a second hand car recently (well, that’s what most of us can afford in recessionary times) chances are that you have bought yourself a ‘lemon’. Noble Laurette George Akerlof discusses information asymmetry or the “Lemons Problem” in his paper titled “The Market for Lemons: Quality Uncertainty and the Market Mechanism” which discusses a market situation in which seller is more informed about the product than the buyer. He states this with the help of used cars market example. There are good used cars and defective used cars (“lemons”), but because of asymmetric information about the car (the seller knows much more about the problems of the car than the buyer), the buyer of a car does not know beforehand whether it is a good car or a lemon. So the buyer’s best guess for a given car is that the car is of average quality; accordingly, he/she will be willing to pay for it only the price of a car of known average quality. This means that the owner of a good used car will be unable to get a high enough price to make selling that car worthwhile. Therefore, owners of good cars will not place their cars on the used car market. This is sometimes summarized as “the bad driving out the good” in the market. “Lemon’s market” effects have also been noted in other markets, such as used computers and the online dating “market”. More recently we are noticing the symptoms in our local travel agency market (travel trade, you may call it), particularly among the un-branded, un affiliated, off line travel agencies. Much like the used cars market (where the features of a used car, good or bad are better known to the seller than to the buyer), travel agency market has got informational asymmetry of the service standards provided by different travel agencies particularly in terms of reliability, level of expertise and experience. An average consumer places all non-branded, non-affiliated, off line travel agencies in the same bracket and the only factor influencing his purchase decision (apart from price) is his personal rapport or relationship with the particular agency. There is some form of a perfect competition in the B2C segment of the travel agency market where the individual sellers are price takers selling similar products (airline seats/ hotel rooms) at the same price range . Consumers are indifferent in the choice of their travel agent (keeping personal rapports and relationships constant) as the product is standardized (everyone is fighting to sell the same airline seat/ same hotel rooms) and there is no scope for abnormal profit (or scope for generating alpha as investment bankers like to call it). This is an interesting situation of a market being in a state of perfect competition (keeping seller-buyer personal rapport & relationships aside) with signs of a ‘lemon’s problem’. The service standards differ among agencies especially in terms of their past experience, network strength, staff expertise and reliability but the same is hardly distinguishable in the eyes of the consumers when making a purchase decision or at least approaching an agency for a purchase. The consumer is likely to select a ‘lemon’ than a good agency on the basis of his perception of buying standardized product or service (similar airline seat/ hotel room) from an agency providing average quality of service. This is disadvantageous for the agencies with high service standards as the customer’s perception of average quality places them among the ‘lemons’. The agency with high service quality standards or innovative and differentiated service delivery mechanisms is unable to charge a premium price and thus looses the motivation to differentiate or innovate or improve its service and quality standards. “The bad start restricts or drives out the good from the market”. 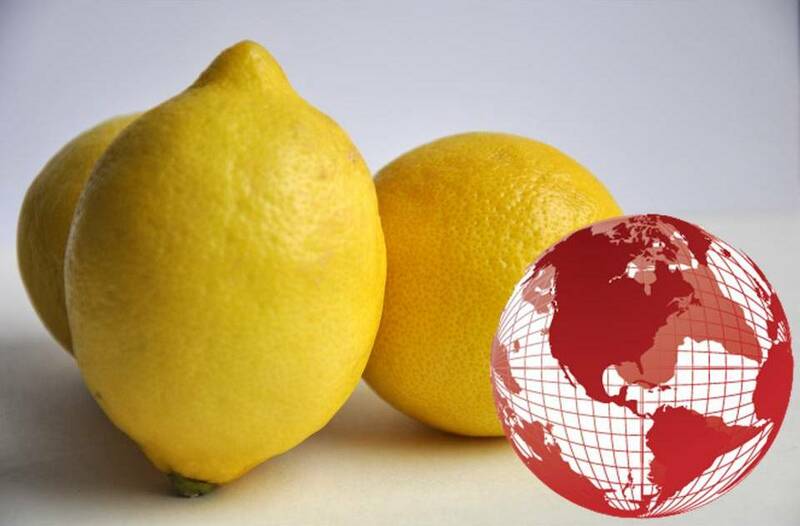 How should the industry regulators and trade bodies react to the ‘lemons problem’? Well its time for some introspection for regulators like IATA and local trade bodies like TAAI and TAFI to reduce informational asymmetry and provide signals to the consumers on the level of service provided by its affiliate agencies. There ought to be a grading system to differentiate among excellent, average and poor service providers. It could be left to the option and discretion of the agencies to get them graded; obviously high quality service providers would like to get graded and flaunt their high service quality standards to the consumers. However the ‘nimboodas’ (lemons) would just rubbish this as just another theoretical procedure and may lobby against it. Since most of the regulators/ trade body leaders are from the industry or will in some way seek employment in the industry after the completion of their tenure as regulators/ trade body leaders they may be biased in favor of regulations/ procedures that support the personal interests of the lobbyists (who would most likely be lemons) against any such grading procedure. This no doubts hurt the industry players who have toiled hard to structure sound systems and practices and build successful business models based on high service and quality standards. To be perceived among the lemons is reason enough for them to loose foresight and motivation to innovate/ differentiate. It just sounds like a brilliant student being given the same marks in an exam as a poor student even though the brilliant student worked hard and performs better than the poor student. The brilliant student will just not have it in him the next time. The phenomenon also contradicts the self fueled mechanism of a capitalist economy proposed by Keynes. In the final chapter of his ‘General Theory’, Keynes foresaw ‘capitalist socialist investment growth mechanism’ to be fueled by the ‘animal spirits’ of entrepreneurs and the constancy of investors, B2c, who must commit their funds to uncertain ventures for extended periods and thereby innovate and differentiate in their pursuit of abnormal gains. Maybe Keynes underestimated the problem of ‘lemons’ in his predictions that drives out innovators from the market. Sumanth Kapoor asserts his right to be identified as the author of this work. Any views or opinions expressed in this review is that of the author.